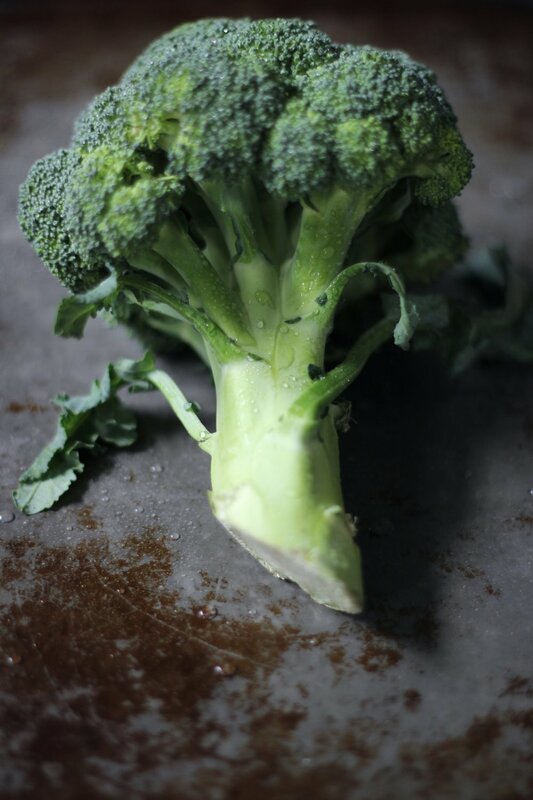 The mighty broccoli…seldom celebrated and often simply steamed into oblivion. Although often over-looked broccoli is a great addition to any diet as it is rich is phytonutrients and vitamins. 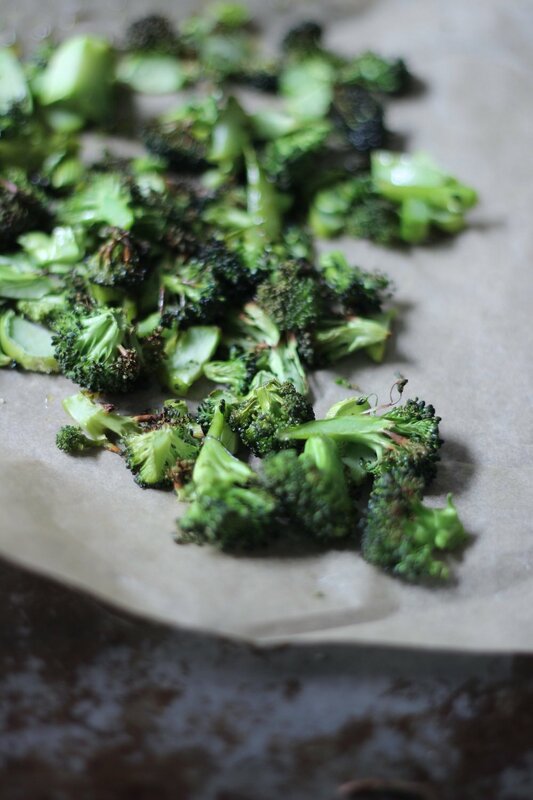 I think the most important thing when cooking classic vegetables is to find new ways to interpret them, roasting the broccoli gives it a crispy, salty taste. This simple salad combines roasted broccoli with protein rich tofu, chicken and simple fresh, zippy flavors like lime and spring onion. I like to use leftover roast chicken but you could also steam chicken breasts and shred while the broccoli is roasting. It’s a filling salad which doesn’t necessarily need a dressing but this tahini and tamari dressing is always a winner if you want to beef it up a bit. You can enjoy hot or cold, or make a little extra for a packed lunch. Finely chop your broccoli, including the stalks. Spread evenly on a lined baking tray and drizzle a little melted coconut oil or sesame seed oil over the greens. Roast for 15 – 20 minutes until the broccoli starts to gain colour but before it burns. In the meantime, heat a coconut oil in a large shallow pan with a splash of tamari, once hot place the tofu and allow to turn golden on all sides. By the time your tofu is ready so should your broccoli florets, combine in a large bowl with the chicken, spring onions and any sesame seeds and lime juice and the dressing if using. Combine all ingredients with a whisk until smooth in small jar. Store in the fridge.